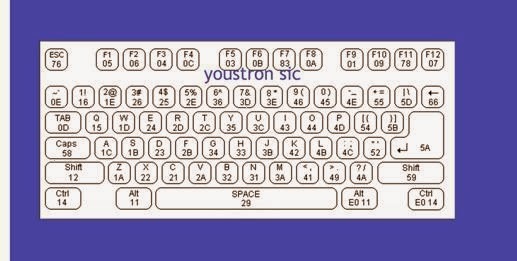 Do you want to interface computer keyboard to your microcontroler, then this is a good chance to learn and can do it by yourself. I'm using PIC , but concept is the same for all other microcontrollers. Better not to waste time, just dive in..
First we need to know few basics of ps2 keyboard i.e what are the protocols and how they transmit data and so on..
>>They sends and receive data serially i.e only on one transmitting line. >> Pin5 is the clock line, i.e keyboard will send clock pulses through this line. It is necessary to know about these two lines i.e data line and clock line and also how they work inter dependent. To have a clear picture i'll explain you how the data and clock go on, check the below fig. >>Observe the above fig. clock .All pulses will have the rising edge and falling edge. To say simply, raising edge is nothing but when the clock pulse will raise from bottom to top is called raising edge, whenever pulse fall from top to bottom(indicated by arrow marks above) are falling edge. >>Data which is sending by the keyboard will have one start bit and one stop bit, always stop bit will be high(1) and start bit low(0) i.e for example the data is something like "10101000" then by adding start and stop bit it will be like this "0101010001" i.e 8bits data and 2 bits additional. >>The most important point we need to keep in mind while writing code is that, microcontroller need to check for input bit for every falling edge. It means if microcontroller realizes that clock pin is having falling edge then immediately data pin should be checked for input data. >> Micro-controller receive LSB first and then MSB that means keyboard sends first LSB and then MSB. NOTE: When a key is pressed a separate code will be transmitted when key is released a different code will be transmitted, when a key is pressed for certain time or when we hold the key then a separate code will be transmitted. Dont worry about all these codes just consider standard code which will be transmitted after key is pressed and key is released. 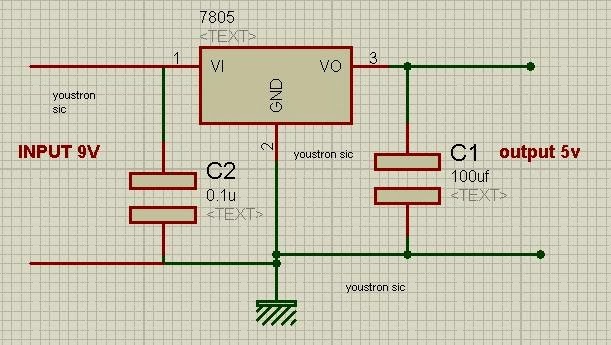 >> Initialize the Interrupts of the microcontroller for fallen edge of the clock. >> For every falling edge an interrupt will be produced, then check the input pin for the input bit. >>Store the bit in any variable and shift right(>>) , because first we get LSB and then MSB. 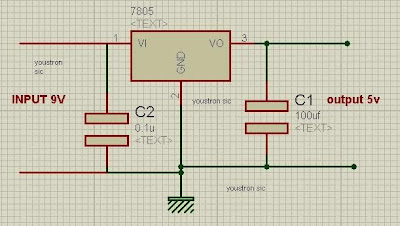 i.e crystal oscillator between 13 and 14th pin, pin31=pin12=ground,pin11=pin32=vcc. Now let us analyze the code, i'll explain few impotent content in the code section so that when u see the code you can easily understand as a whole..
Is it a mandatory to give any example project using PIC?